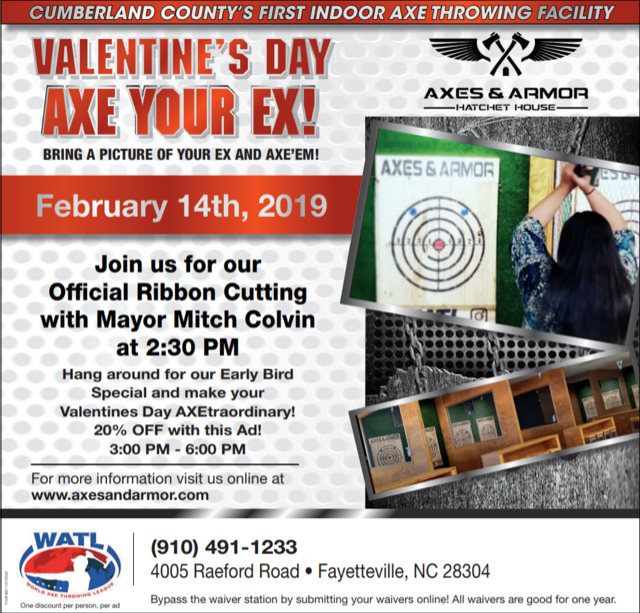 This is Cumberland County's first indoor axe throwing facility. Their mission is to bring the thrill of a traditional Canadian backyard to the communities. With the help of talented axe throwing coaches, hundreds of thousands of people have been able to share the passion for throwing axes. Axes & Armor prides itself on delivering outstanding customer service to all of their clients whether it's for walk-ins, leagues, private parties or team building events.